Because reviews don't have to be always of the newest things that you can buy. 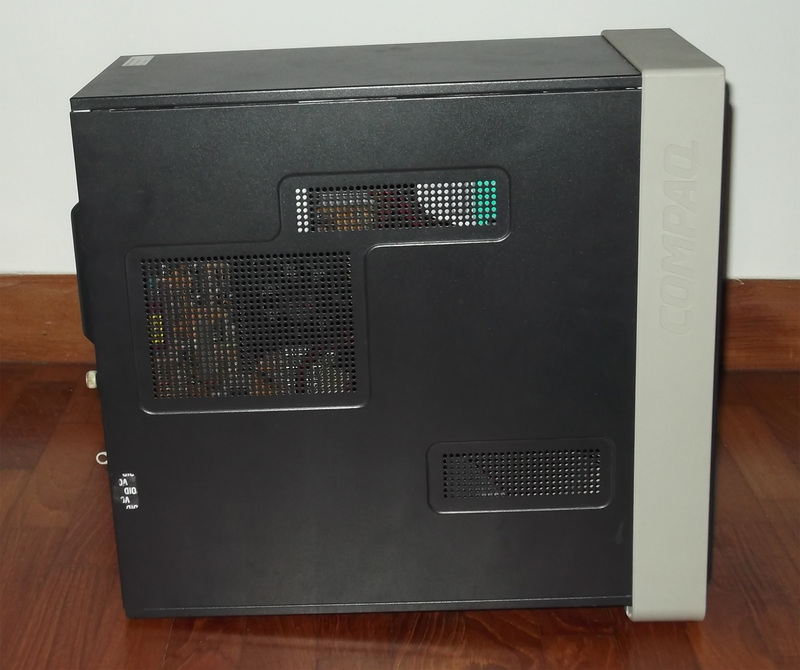 A simplistic design that is smooth to the eye but still square enough to remind you that this is a computer and not some weird spaceship things the enthusiasts like to buy. I forgot to take a picture of the LED, so here is one taken from here. It is not that blinding to the eye in real life. 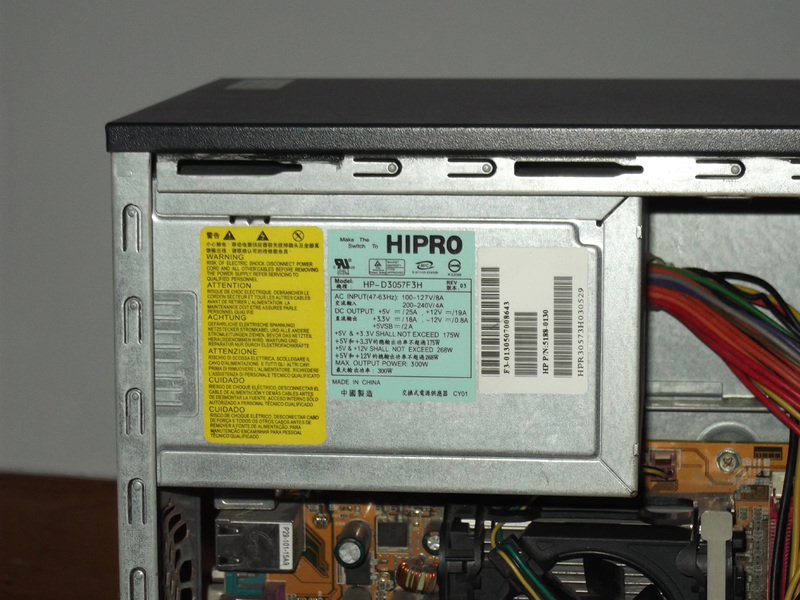 Smooth reflective black drive bay covers with 2 stealth drive bays for optical disc drives. Most of the case is in a very nice matte black which I find rather fingerprint and scratch resistant (as in, fingerprints and scratches on this surface are not so apparent). The front bezel is wider than the rest of the case and props the case up slightly, breaking the boring horizontal lines of PC casings. It makes it harder to put things on top though. I like the vent holes. 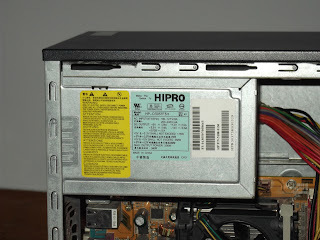 The rear of the casing. 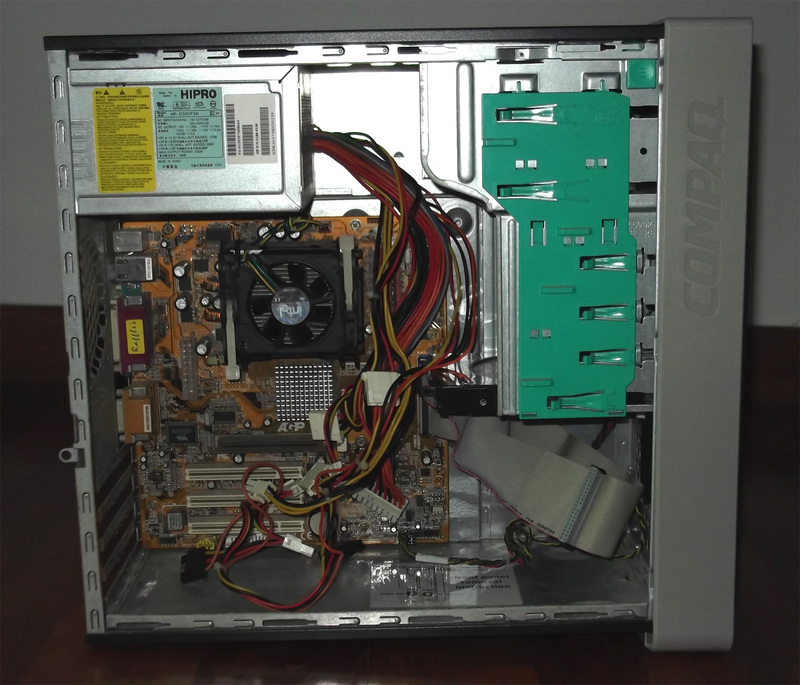 Here you can see three things typical on a PC from a large vendor, are useful, but usually missing from DIY casings. The place for you to grab to pull the side panel off, a singe thumbscrew to secure the side panel, and a place for a lock. The holes for a 92mm exhaust fan are pretty unrestrictive and is raised slightly - this allows for less restricted airflow. 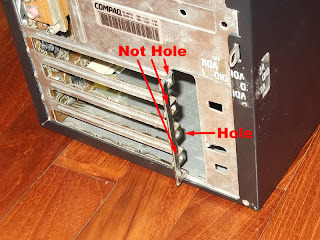 The piece of metal that is supposed to be screwed onto the hole and hold the expansion cards is missing. I have mixed feelings towards this (the plate, not its missing). On one hand it hides the ugly screws of the expansion cards and makes it slightly easier to install expansion cards, on the other hand the grip strength is not strong enough to hold the graphics card sitting in the top expansion slot in place. The panels are pretty study. This is me holding it up on one end and it is not flexing much. 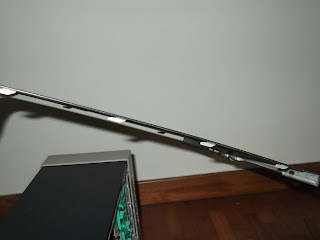 I never encountered flexing when installing the side panel. 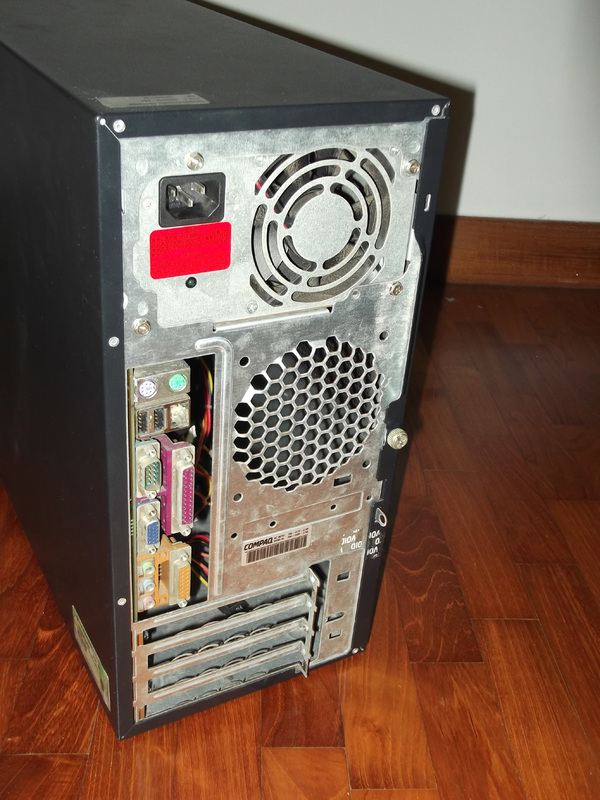 This case came with a 300W power supply by HIPRO. I remember another case came with something like 245W or 265W, so it depends on the system configuration. Good enough to handle PCI-E graphics cards without the extra power connector. 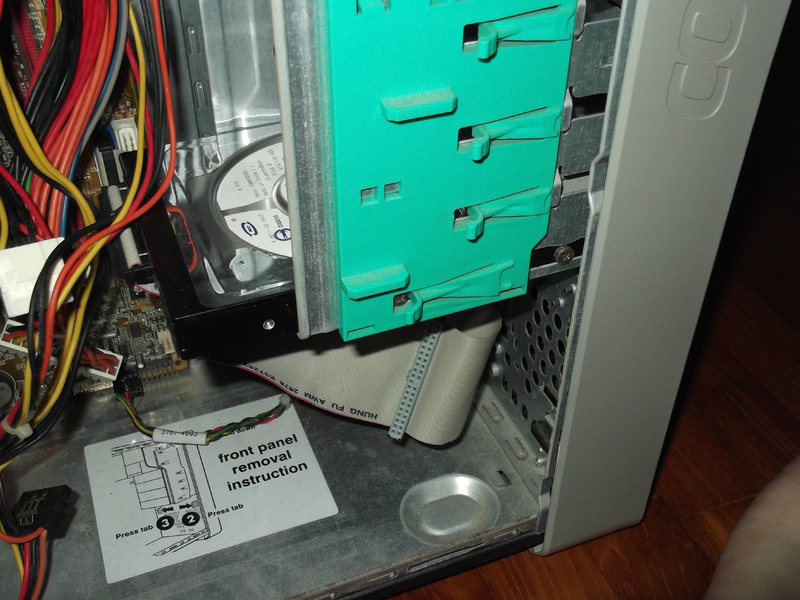 The drive mounting mechanism of this casing is what is great. 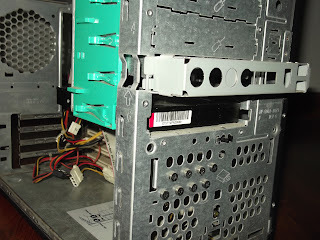 At first it looks like those mounting rails-based stuff, but when you look closely there is no space for a mounting rail between the HDD and the chassis. 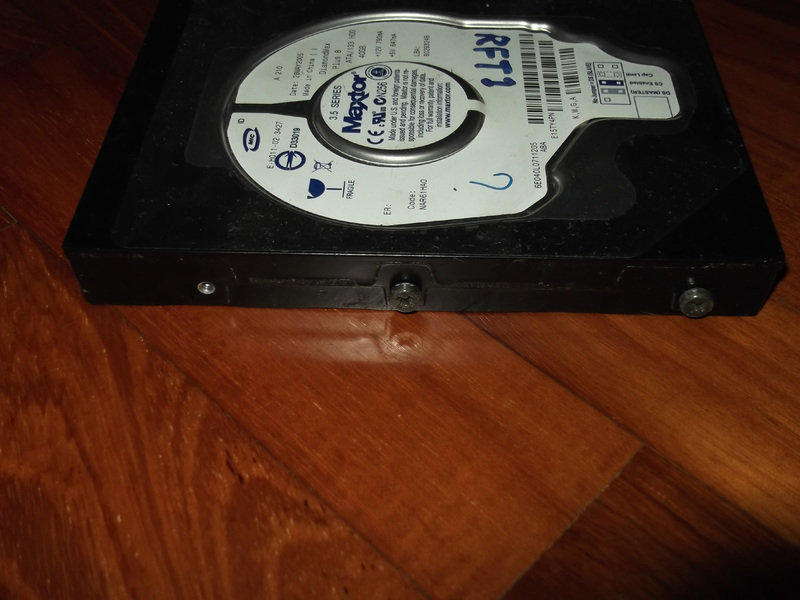 1) Install these screws onto the drive. 3) Slide the HDD in from the front. 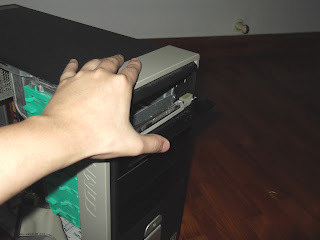 4) Push it all the way in until you hear a click. Those 4 x 2 rows of screws are spares I think. 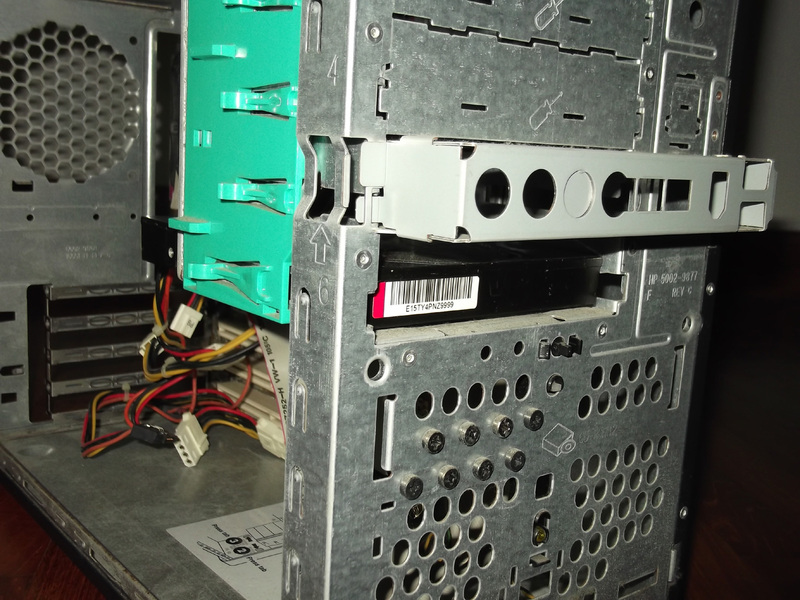 To remove the HDD, in the below picture, find the screw that is among the green, erm, thingie. Lift that liftable-looking-thingy away from the HDD and push the HDD out. 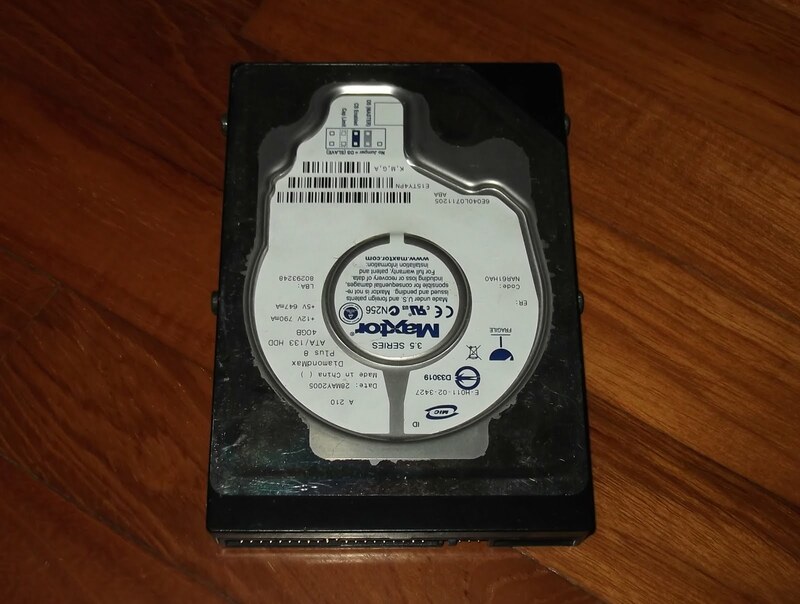 The installation is similar for 5.25-inch drives. I find that certain generic screws work also as long as they are round and smooth enough. 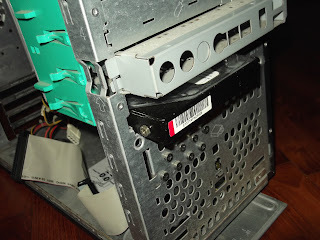 So you will never run into the problem of missing drive rails resulting in inability to mount drives, which is always the case for casings using drive rails. I can't really give a verdict for things that are cannot be bought new anymore (not that it could be bought new in the first place), but this is a great study and nice-looking case. 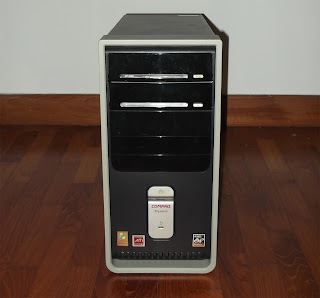 I have seen casings of this model being sold second-hand for $30 or less, and compared to $30 cases in SLS, this looks way better and is way better built too. 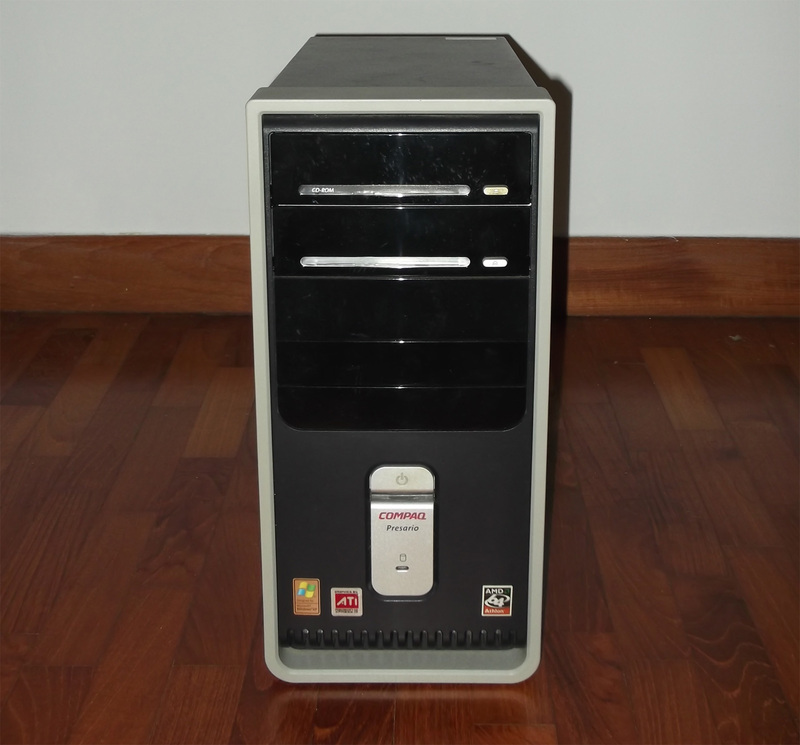 In fact, quite a few of the modern branded PCs' cases are nice-looking and well-built, so don't let a good chance pass you by, if you can look past the brand logo. your blog is very informative and helpful.